Young Marble Giants’ mix of post-punk austerity and delicate pop has inspired many bands over the past 30 years—but most immediately it influenced Weekend. 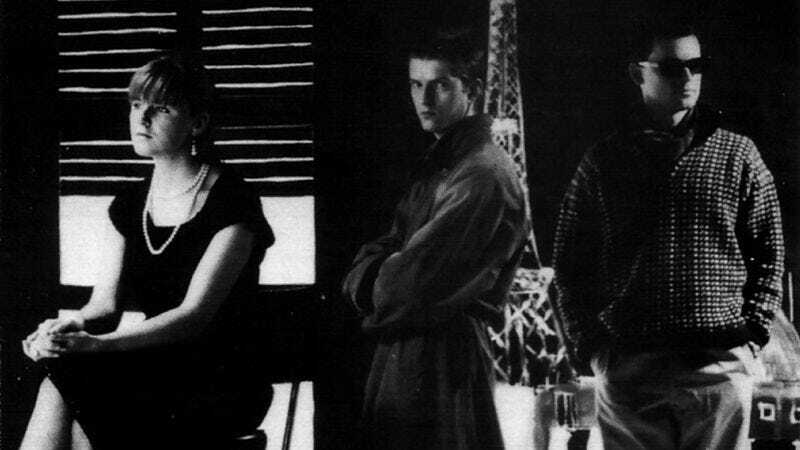 The trio was formed by Young Marble Giants singer Alison Statton soon after the demise of Young Marble Giants in 1980. Although the three-person lineup looked similar, Weekend infused its sole studio album, 1982’s La Variete, with a lusher, more sprawling sound that encompassed jazz, dub, and atmospheric, vaguely retro hooks. Before recording La Variete, Weekend laid down a four-song demo that features different versions of a few tracks that would later surface on the album—including “Nostalgia,” a pulsing, melancholy tune that seems to foreshadow entire generations’ worth of alternative pop, both twee and experimental. The demo version of “Nostalgia” is being debuted here before the rollout of The ’81 Demos, a limited-edition reissue of the entire recording. Like Young Marble Giants, Weekend didn’t last long. But Statton’s vision—and her ethereal, shiver-inducing voice—still echo. The ’81 Demos have been remastered and will be released on vinyl for the first time on March 3 via Blackest Ever Black.